Beshara was responding to a question by Committee member James Morris, who wanted to know what can be done to improve Simonton Bridge Road. 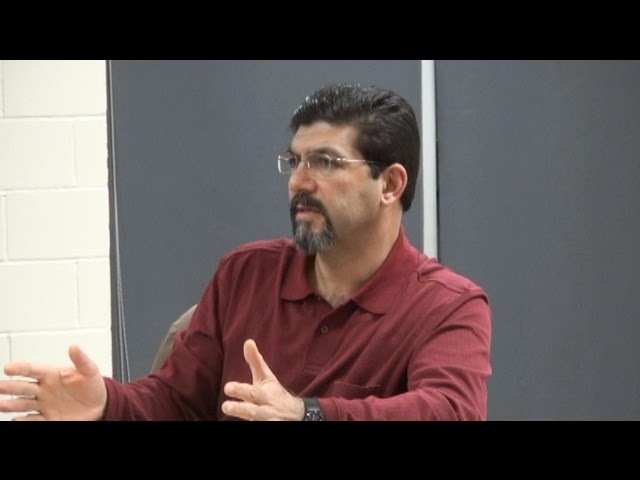 Beshara said he does not have the money to make the needed improvements to the roadway, which runs from Watkinsville to the Middle Oconee River. At the suggestion of Committee Chairman Abe Abouhamdan, the group voted unanimously to send a letter to the commissioners asking them to budget $2 million in the 2015-2016 fiscal year budget for roadwork. Beshara told the Land Use Committee that spending for public works will increase from $1.1 million annually in the current Special Purpose Local Option Sales Tax to $1.6 million in SPLOST 2015, which voters approved in November. Beshara said the BOC, because of the economic downturn, had eliminated $500,000 in funding for the Public Works Department that had came from the county’s General Fund and that he needs $2 million to meet the department’s goals for the minimum amount of road repair. Beshara said the county needs to patch at least 20 miles of roadway each year. He said that the number of roadway miles in the county has increased but the funding has not. The improvements to Simonton Bridge Road suggested by Morris cannot be made because the county needs to use the money it has for maintenance and resurfacing, not for major road improvements, according to Beshara. The widening of Simonton Bridge Road is listed for future state funding in the Madison Athens-Clarke Oconee Regional Transportation Study (MACORTS) project list, but no money has been allocated for the project. I was not able to attend the meeting on Jan. 13, but I did obtain a copy of the draft minutes from Land Use Committee Recording Secretary Angela Helwig. Since the minutes had not been approved, I asked both Abouhamdan and Beshara to review them and tell me of any corrections that needed to be made. According to the minutes, Beshara also told the citizen group that design work on phase two of the Mars Hill Road/Experiment Station widening project is 80 percent complete. Construction on this phase, which runs from Hog Mountain Road to the U.S. 441 bypass, will last about a year and a half, Beshara said. The contract for that project has not yet been scheduled for letting. Phase three of the project, from U.S. 441 bypass to Watkinsville, is still listed as long-term, Beshara said. Am I the only one who wonders if there's a conflict of interest with Committee Chairman Abe Abouhamdan often bidding on county projects while he's committee chair of Land Use and Transportation Planning? "Beshara says he does not have the money." He probably doesn't. But then, the people he works for--you know...taxpayers--have a say in where the money goes and what it's used for.